This is a long overdue post and also a means of motivating myself back into blog writing (I’ve been travelling a lot in the last couple months). Below, I’ve pasted the preface to my monograph which was released late in 2011 and was a labor of love and also, perhaps, a bit of crazy. First, a confession: I’m obsessed with architecture. I can’t imagine my life without buildings. And although this fixation can strain my health, finances, and stress level, I just can’t give it up. Like most obsessions, mine is driven by passion: the love and awe I’ve always felt for great buildings, old and new and anywhere in between. I’m also driven by the pleasure I have in designing them, in being immersed in the creative process and emerging in the end with a work that serves the greater good. As naive as it may sound, I do believe that architecture can change lives—both over time and in the moment. This is what fuels my passion. And at this point in my career, I increasingly appreciate all the architects, past and present, who have had the steely determination to express their own passions, who have taken the risk to confront society with their vision, challenging our ideas of what makes great architecture. Their buildings are never meek. Great architecture is provocative, demanding, intent on capturing our eye and informing our perception. For me, this emotive energy expresses the opposing forces that shape a composition: social and political, formal and structural, aesthetic and financial, material and natural. When an architect allows these forces to intersect with passion, to unapologetically break open a new design solution, the effect is vitality, not tranquility. It’s pure power, realized through gravity and three-dimensional space—not just theory. This is true whether the design in question is a small private home or a magnificent public building committed to a grand idea. The first time I entered the Hagia Sophia, for example, I was struck speechless. The passion of its creators, their vision, spoke with full force across time. And this power is also felt in emotional responses to modern architecture today: positive or negative, exhilarated or irritated. Great architecture isn’t about trying to please everyone. Sometimes it spurs heated debates among people who experience it differently. For example, my designs that bring traditional Victorian and bold modern elements into conversation with each other—forging a new creative vocabulary out of opposing historical styles—can seem like an argument to some or a satisfying dialogue to others. A composition that embraces and explores this complexity is the mark of the new modernist. What ultimately matters is the sincerity of critical inquiry and the level of craft behind the work. My fascination with the interplay of opposites—with joining old and new, industrial and residential, rough and refined, urban and natural—began with my bicultural upbringing. Raised and educated in both France and the United States, I found a voice in more than one culture, more than one history, more than one set of opinions and aesthetics. My formal, visual, and social education was at the same time rigorous and liberating. I not only became familiar with and attracted to spaces with multiple readings, but I also became at ease working within different cultural norms, which has served me well as a feminist and nonconformist in my profession. As a woman architect, I continue to advance new solutions to design problems from a perspective that is, unfortunately, still very much a minority point of view. I believe this awareness of the past starts before any formal study of art or architectural history. It starts with the practice of seeing—cultivating different ways of seeing—and opening an investigative eye to the world. To be an architect you have to get out from behind your computer and look at real buildings, art, and natural sites. So much of modern life aggressively exposes itself to us, without a filter. The challenge is to critically observe this constant display with an interest that is both perceptive and demanding, selective and curious; to seek out the works of other artists and architects, from all eras, that intrigue and uplift us; to place ourselves in natural and built environments that move and inspire us; and to investigate our responses to them. Through my travels and undergraduate study of art and architectural history at Wellesley College, I’ve come to admire a wide range of architectural masters—from Michelangelo and Borromini to Alvar Aalto, Le Corbusier, Kengo Kuma, and Hitoshi Abe. I’ve also found inspiration in the works of Mark Rothko, Dan Flavin, Robert Irwin, and Jim Campbell—artists who have shaped my way of seeing and thinking as profoundly as any architect. Irwin, especially, reinforces my perception of light as the most powerful definer of form and space. These conditions, as Krauss notes, are especially relevant in the vivid light of California, the location of much of my work. I’m always looking for opportunities to modulate the quality and character of natural light and to incorporate transparencies—both horizontal and vertical—by means of courtyards, skylights, glazing, or unusual types of glass, such as channel glass or dichroic glass. I interweave indoor and outdoor spaces with the interaction of light and dark, and like Rothko and Caravaggio, I’m fascinated with creating a sense of depth, even in flat surfaces. In this ongoing experimentation, each project becomes its own investigation into how light metaphysically transforms a space—an investigation into light’s ever-changing influence on our perception of space and well-being. I continue to explore transparency, both in the optical and the phenomenal/temporal/spatial sense. There’s an exuberance in this manipulation of light and space that has universal appeal. The relationship between the optical and the phenomenal invites occupants to participate more fully with the environments I create, drawing them deeper into interaction with these spaces. I enjoy provoking a strong response through a building’s visual drama and multiple readings. Yet great architecture must also communicate humanity and balance. This balance rests on the material as well as the transcendental aspects of a building. All the details—materials, surfaces, and finishes—must exemplify the larger design idea. That’s why I’m engaged not only in the theory of good design but also with its application: craftsmanship. Designing with glass and metal, wood and stone, and innovative high-tech and green materials, I’ve forged lasting collaborations with accomplished builders, craftsmen, and engineers. We brainstorm, we debate, and we solve problems in new ways. We each bring a different perspective to our public- and private-sector projects—but an equal passion. Our creative experimentation for private clients has often become the laboratory for public-sector projects as well. Many times, my nonprofit clients with shoestring budgets initially aim for function and economy only. My job is to challenge those utilitarian notions by engaging nonprofits with the same high level architectural ideas that animate projects for the wealthy. I strongly believe that the public sector deserves great architecture, that everyone of every income and walk of life deserves design excellence. This is both a personal and political stand. 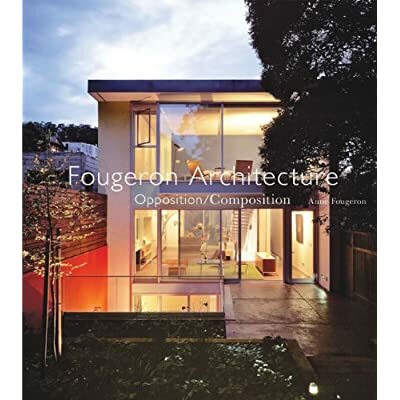 In every project, the goal of Fougeron Architecture is humane modernism: creating environments that support the full range of their inhabitants’ needs, their psychological and emotional responses to form and space, and their physical and social requirements. Taking this design approach means crossing traditional boundaries and confronting old expectations within the field, pushing both our limits and theexpectations and aesthetics of our nonprofit clients in stimulating, sometimes uncomfortable-but-always-creative ways. I want the public environments we create to awaken all the senses and to uplift all the people who live, work, learn, and heal within them. Ultimately, I care most about how the inhabitants of a building will interact with each other and with the building itself for years to come. Viewing architecture this way, with a social conscience and in the context of public policy, stimulates the most vital questions of design and democracy: How can we ensure that all citizens have access to the dignity and inspiration of great architecture? How can we purposefully broaden our profession so that breakthroughs come from designers of every gender, culture, and mix of aesthetic influences? And how will the buildings we create transform flawed environments for the common good and define twenty-first-century civitas? These are the questions that continue to fuel my passion for and obsession with great architecture. (Philadelphia: Philadelphia Museum of Ar t, 1995), 23. Modern Ar t, 1991), 133.